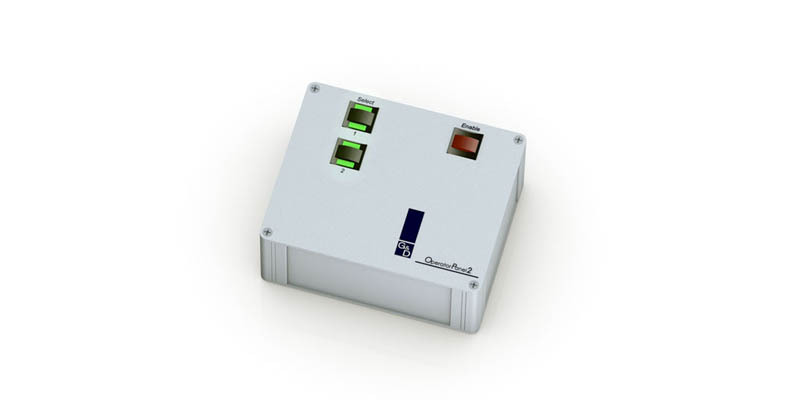 With the OperatorPanel, you can switch your KVM switch comfortably from your desk by pressing a button. Now you can install the switch anywhere to save space. To switch between the channels of the switch, press the "Enable" button and the channel button at the same time. Pressing two buttons at the same time prevents you from switching the channels by accident. For now, the OperatorPanel is available in variants switching 2, 4 or 8 channels.